When it comes to holiday spending, shoppers aren’t holding back. The National Retail Federation projects consumers will spend an average of $936 during the holiday shopping season, second only to last year’s $953 record spending. Many of those purchases will be gifts for others. If you’re less than enthusiastic about shelling out that much, we’ve got some ways to simplify the gift-giving season to make it more enjoyable for you and your loved ones. Many gift-givers feel pressured to spend more than planned to buy the perfect gift. Oftentimes, that pressure comes from within, says Nick Cannavo, branch manager at Dupaco Community Credit Union’s First Avenue branch in Cedar Rapids, Iowa. For your next holiday get-together, suggest a gift exchange that allows each family member to buy a gift for just one person. 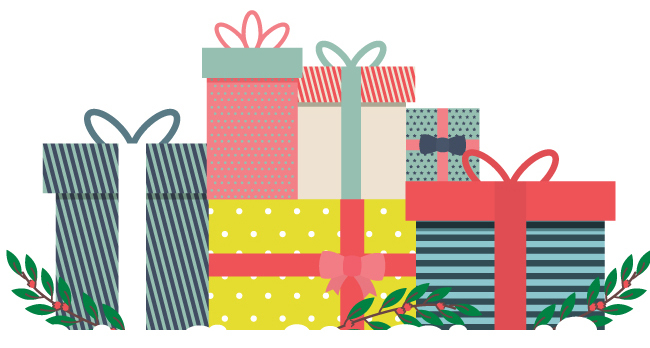 When exchanging gifts with others, set a spending limit that’s comfortable for everyone. It eliminates any pressure to spend more than you budgeted for. You don’t have to spend a lot to give a meaningful gift. Think about what the recipient likes, and let that lead the way. For a golf enthusiast, that might mean something as simple as new golf balls, tees and bug spray. Look back at how much you’ve spent during the past few holiday seasons, and determine whether that amount still fits into your overall budget. Make any necessary adjustments before you start shopping. 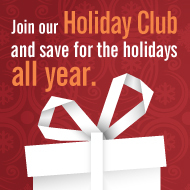 If you don’t have a Holiday Club account, now is a great time to open an account for the next holiday season. You can set up automatic weekly or biweekly deposits to your account, and the balance will be automatically deposited into your checking or share savings account at the end of October. This year, Dupaco members saved a record-setting $4.44 million through their Holiday Club accounts. “Christmas always comes around at the same time, so putting aside money in an account to be strictly used for the holidays is a great way to simplify things,” Cannavo says.